South Korea’s weather on National Foundation Day will be sunny and chilly, with a wide temperature range between day and night. 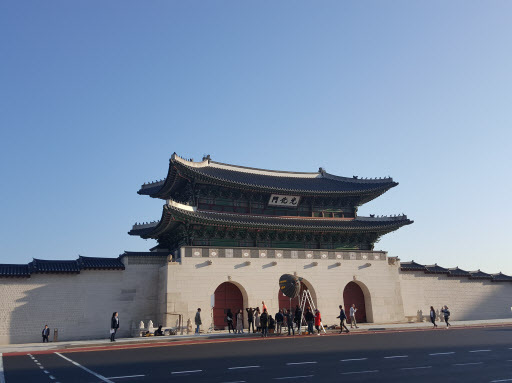 The temperatures plunged to 6-15 degrees Celsius nationwide Wednesday morning, but are set to rebound to 22-25 C. The daytime high in Seoul will record 24 C, Suwon 24 C, Gangneung 23 C, Daejeon 24 C, Gwangju 25 C, Daegu 25 C and Busan 25 C.
Over the weekend the Korean Peninsula will be affected by Typhoon Kong-rey, which is currently moving toward Jeju Island. Starting Thursday afternoon, heavy rain will hit the island and parts of the Gyeongsang region, and the rain will spread nationwide on Friday. The downpour is forecast to last throughout the weekend.